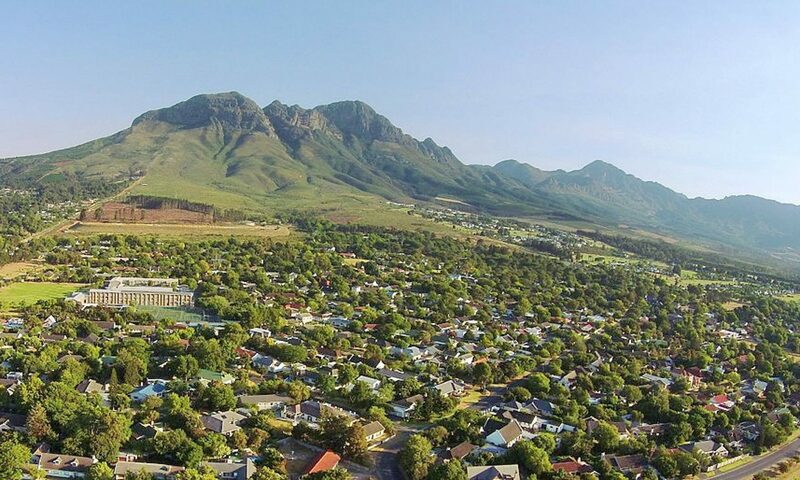 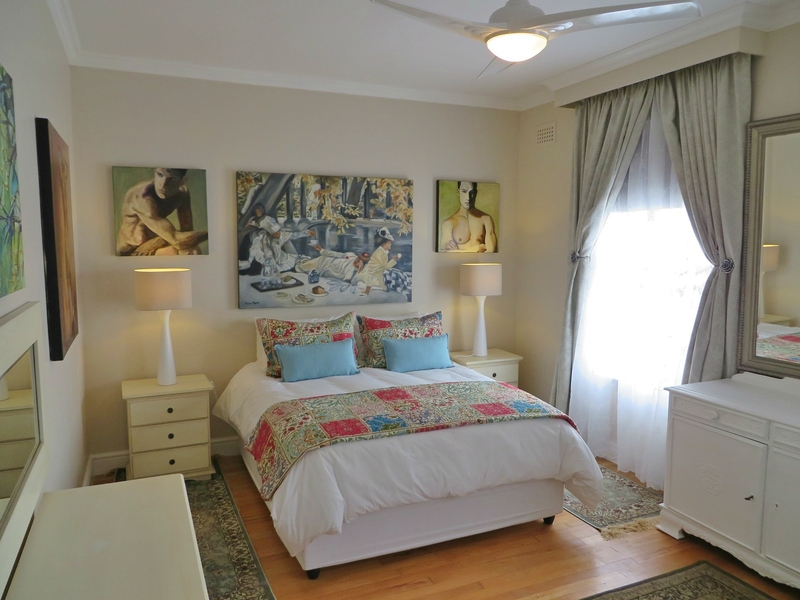 Two Bedroom House | Gardenfly Self-Catering Accommodation is closed. Self-catering, sleeps 2 – 4 adults. 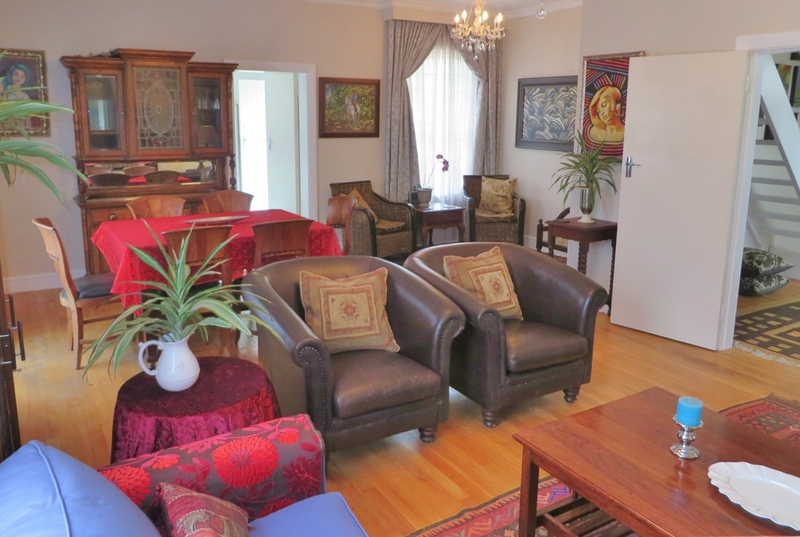 Be enchanted by the ‘old English style’ building that is newly renovated and equipped with all amenities for self-catering. 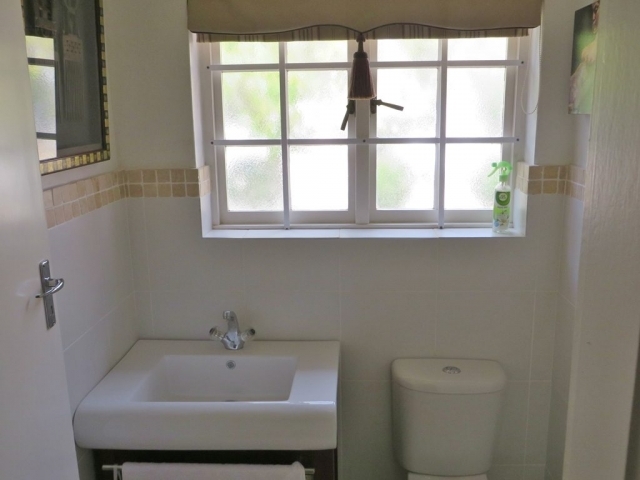 The house consists of 2 bedrooms, a full bathroom, spacious lounge/sitting room, kitchen, scullery, dining room, outside patio and garden. The house is beautifully decorated and ideal for couples travelling together. 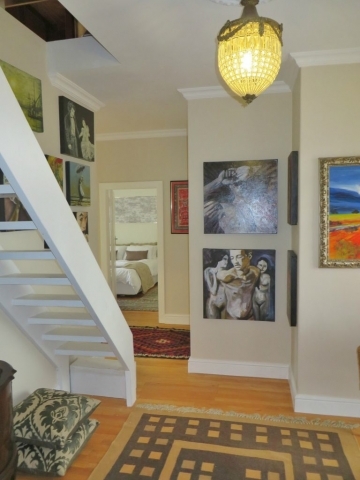 You will be guaranteed to have the entire house to yourself with complete privacy assured. 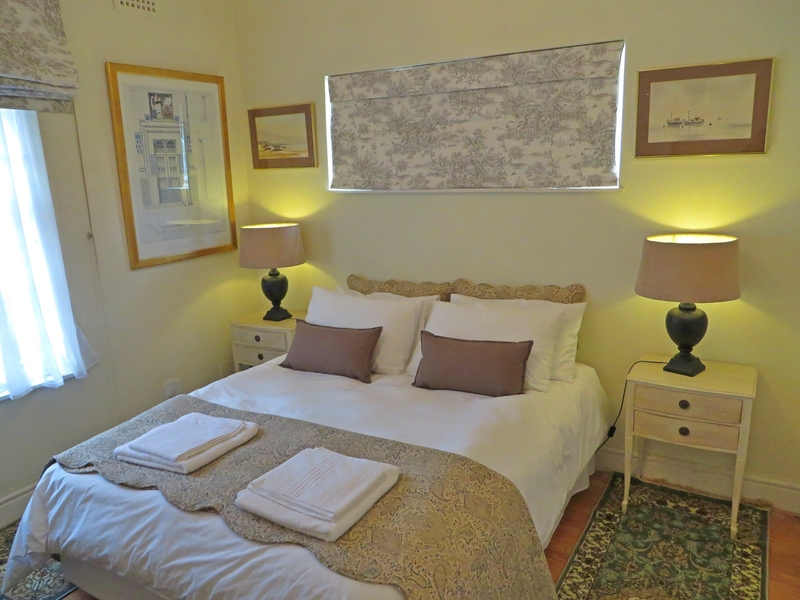 2 bedroom (sleeps 2 adults per room, 4 adults in total) – All bedrooms fitted with a queen size bed and quality linen. Bathroom – A full bathroom with a bath and shower and a separate toilet. 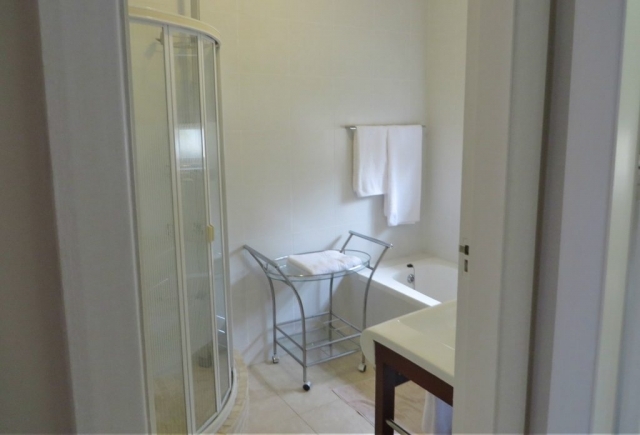 Towels are provided. 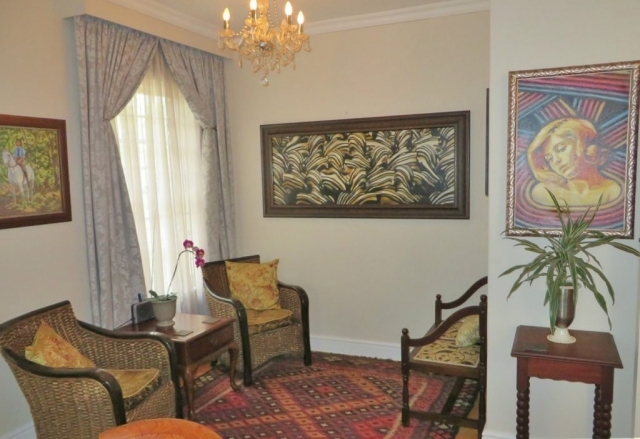 Large lounge / sitting room – Flat screen TV with full DSTv channels and free Wi-Fi. 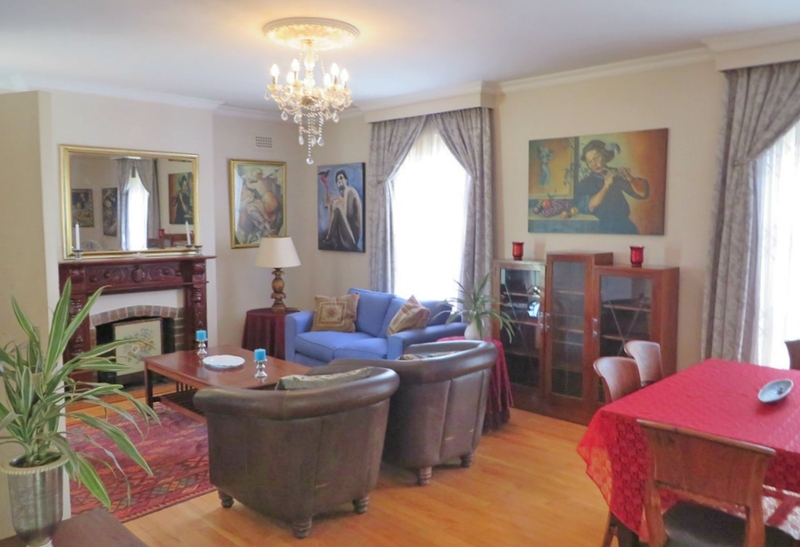 Open plan dining room with 6 seater dining table. 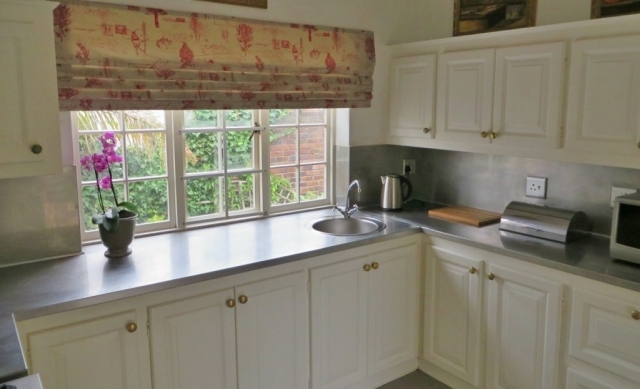 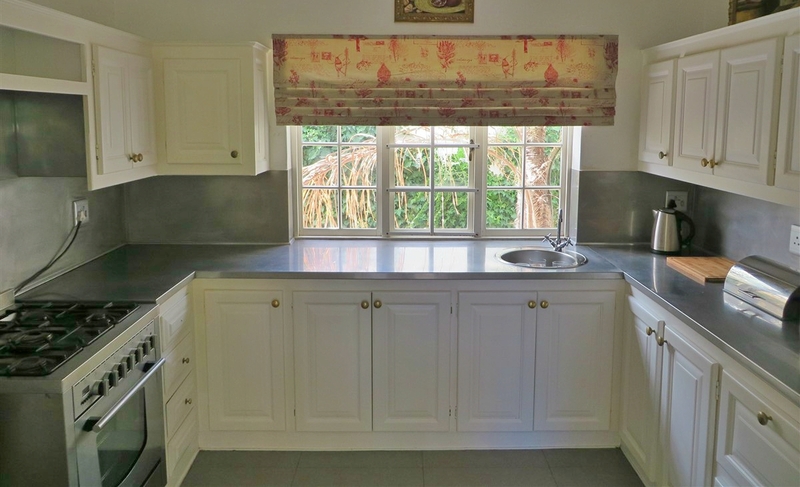 The kitchen with attached scullery is fitted with all the luxuries to make your stay as comfortable as possible – includes a stove, oven, microwave, kettle, toaster, fridge/freezer, cutlery & crockery, pots & pans, iron & ironing board. 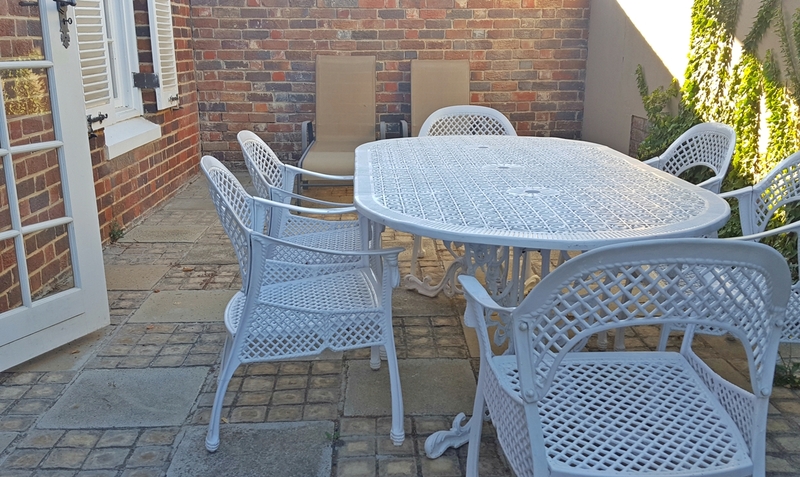 Private outside patio/garden area with a 6 seater alfresco dining set and deck chairs – weber braai (kettle BBQ).